"Based on a 1981 GS550E Katana, with upgrades all round, my personal rider. 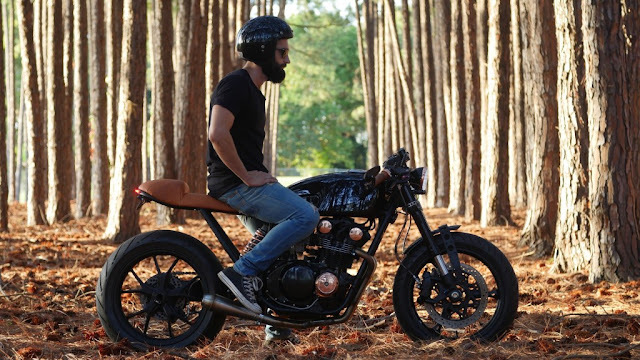 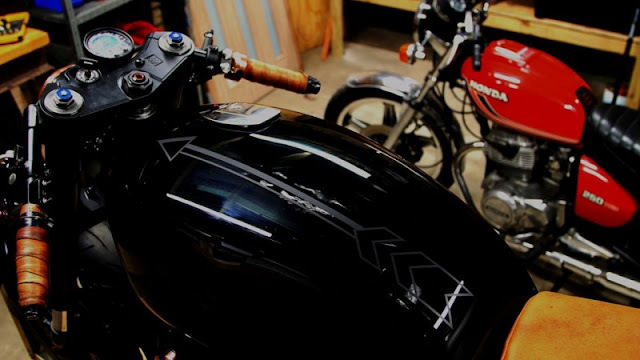 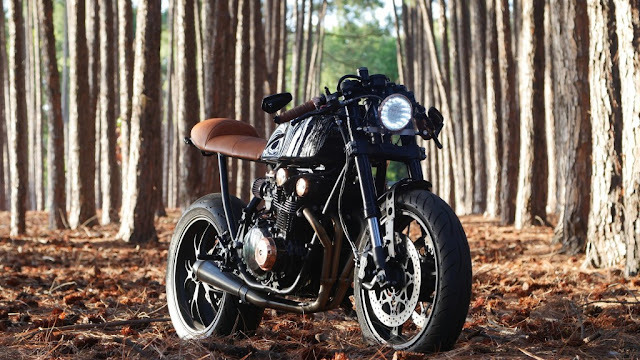 The Border Run cafe racer features all of Purpose Built Moto's prototype products. The muffler, handlebar switches and LED indicators were designed for use on this bike and people liked them, so i started producing them for sale. 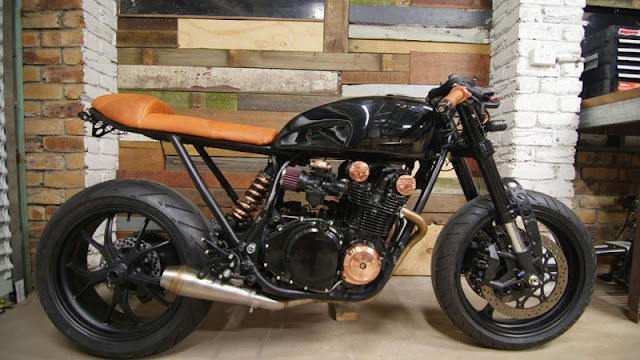 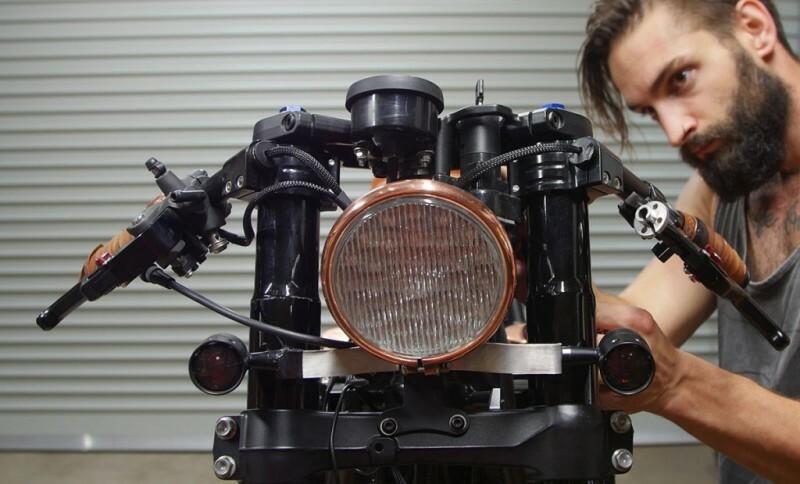 The tank has been modified along with the rear subframe and the engine Blacked out with the use of some copper details. 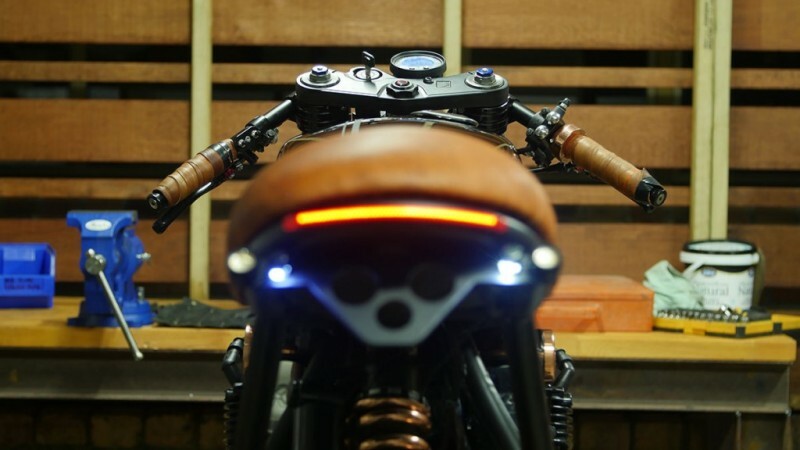 Aluminium rear sets, a custom throttle, 4-2-1 Stainless steel headers and a handmade seat all shown in this truely unique custom bike build"